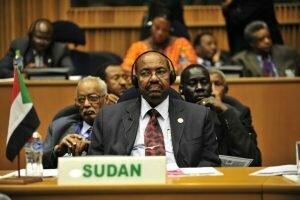 Washington, D.C., April 4, 2017 (SSNA) — In testimony before Congress today, the Enough Project’s Omer Ismail called for renewed U.S. sanctions and anti-money laundering measures targeting Sudan’s corrupt elite. Testifying before the U.S. Congress’ Tom Lantos Human Rights Commission hearing on “Sudan: Human Rights and Sanctions,” Ismail said that the Obama administration’s easing of sanctions in January this year undermines U.S. foreign policy objectives, giving away the sole point of U.S. leverage on Sudan in exchange for uncertain short-term counterterrorism gains. Ismail testified alongside Ken Isaacs of Samaritan’s Purse, Miles Windsor of Middle East Concern, and Jehanne Henry of Human Rights Watch. Support efforts to revoke the executive order from January that eases U.S. sanctions. Push forward legislation that utilizes the policy tools of financial leverage and more robust diplomatic engagement in support of peace, counter-terrorism, religious freedom, and anti-corruption objectives. This legislation would include a modernized sanctions program that targets the assets of those in Sudan who are most responsible for atrocities, serious human rights violations, and grand corruption while minimizing bank de-risking and other adverse impacts on others. Ensure U.S. government agencies that conduct the investigations and enforcement of U.S. sanctions and anti-money laundering programs have the resources they need and the political direction to work on Sudan through the FY 2018 appropriations process. Press the U.S. Treasury Department’s Financial Crimes Enforcement Network (FinCEN) to more aggressively counter money laundering that involves members of the Sudanese regime and their corporate network by requesting under Section 314(a) of the USA Patriot Act that financial institutions report on transactions that may have involved the Sudanese regime. Urge the Trump administration to utilize the Global Magnitsky Human Rights Accountability Act, which became law at the end of last year as another tool that can be used to place sanctions on corrupt Sudanese officials.